Dr. Edward A. Dennis is Distinguished Professor of Chemistry, Biochemistry and Pharmacology at the School of Medicine and Revelle College of the University of California at San Diego (UCSD). Dr. Dennis received his B.A. from Yale in 1963 and a Ph.D. from Harvard in 1967. He served as a Research Fellow at Harvard Medical School and has been a Professor at UCSD since 1970 where he has served as Chair of the Department of Chemistry and Biochemistry, Vice Chair for Medical Biochemistry, and as Chair of the UCSD Faculty Academic Senate. Dr. Dennis was selected as a Guggenheim Fellow in 1983 and was elected a Fellow of the American Association for the Advancement of Sciences in 1984, was a Visiting Professor at Harvard Medical School in 1983 and a Visiting Scientist at Brandeis University in 1984 and has been an Adjunct Professor at The Scripps Research Institute since 1999. In 2000, Dr. Dennis received the prestigious Avanti Award for research in lipid enzymology from the American Society for Biochemistry and Molecular Biology. He is the author of over 270 original research publications in scientific journals, editor of thirteen books, and holder of six issued and several pending patents. He is currently Editor-in-Chief of the Journal of Lipid Research and Director of the LIPID MAPS (Glue Grant) Consortium. He has founded, serves on the Board of Directors, and Scientific Advisory Board of several biotech companies and currently is a member of the Board of Directors of BioMed Realty Trust (NYSE). 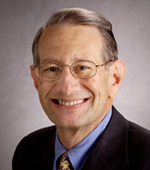 Dr. Dennis served as Chair and President of the Board of Directors of the non-profit Keystone Symposia from 1996-2004 and currently serves on its Board, on the Eicosanoid Research Foundation Board, on the Board of Lipid Research, Inc., and the Council of the American Society for Biochemistry and Molecular Biology. Dr. Dennis currently serves as Chair of the Board of Governors of the Association of Yale Alumni and also serves on the Yale University Council, the Development and Alumni Affairs Committee of the Yale Corporation, the Yale Alumni Magazine Board, and the Yale Alumni Fund Board. Dr. Dennis is also involved in many community activities in La Jolla, including serving on the Board of Trustees of the La Jolla Playhouse, the Board of Overseers of the University of California, San Diego, the ResMed Foundation, and the San Diego Dialogue.